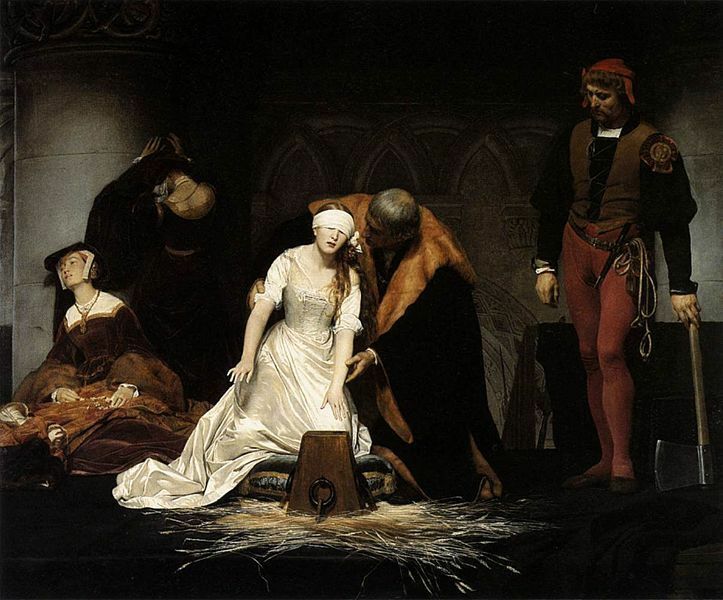 The Execution of Lady Jane Grey. Painted in 1833 by Paul Delaroche. Lady Jane Grey, queen of england for nine days at her execution.. HD Wallpaper and background images in the Kings and Queens club tagged: jane grey lady jane grey tudors queen of england execution of lady jane grey. This Kings and Queens photo might contain street, city scene, urban setting, sign, poster, text, chalkboard, lectern, and reading desk.